The Metroid series has inspired countless games, and while some of them borrow the sci-fi premise and setting, the sense of progression is what seems to captivate most developers. At its core, the genre is about exploring an interconnected world and gaining abilities to get to new areas within it. 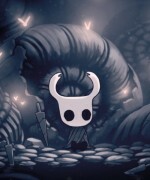 Hollow Knight falls within this common category, but quickly distinguishes itself as both an adept emulation of the genre’s brightest stars and a unique melding of different ideas. 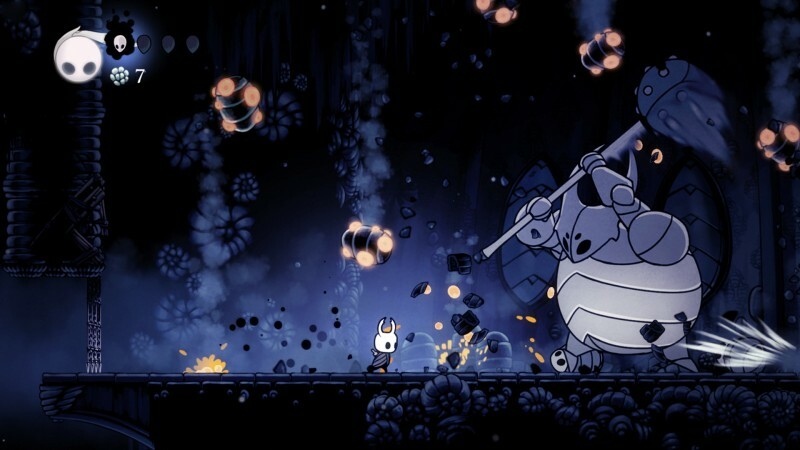 The action, tone, and world design of Hollow Knight set it apart from what has come before. Players take on the role of the Knight, an inky black creature with a white mask sitting at the head of their nameless, genderless body. Armed with a sword, the Knight enters the long-dead kingdom of Hallownest. The action starts off fairly simple; you have a short-range attack and the ability to move around. As you progress, the Knight obtains spells and charms, building a steady sense of mutability to the way you move and attack that builds on top of itself. The Knight gains the ability to dash early on, with a later optional skill making the duration of the dash invulnerable to enemy attacks. Adding a charm on top of that not only extends the dash, but makes it cause damage, letting you effectively control how you backtrack through areas and what you prioritize. This flexibility gives you room to experiment with your builds based on the situation. 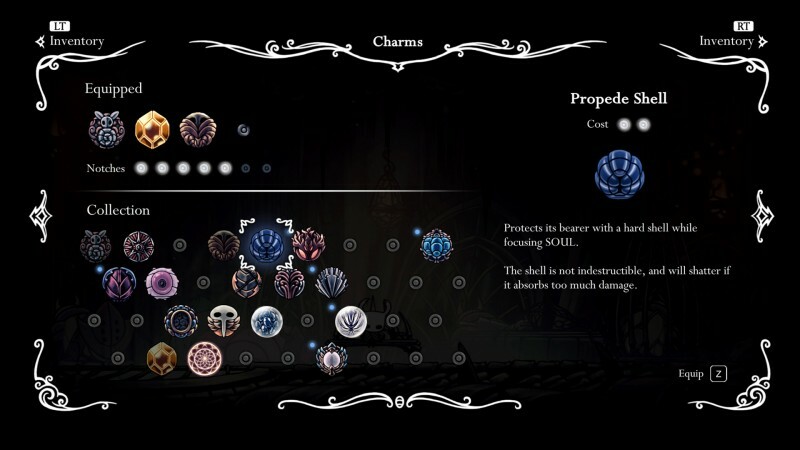 For general exploration, I kept a non-specific setup that showed where I was on the map and gathered resources from enemies, but I ended up changing it for different bosses. Sometimes tanking a boss wouldn’t work and I would have to alter a charm set to better promote evasion while I learned the pattern. I ended up trying three wildly different builds on the final boss until I determined what worked for me. 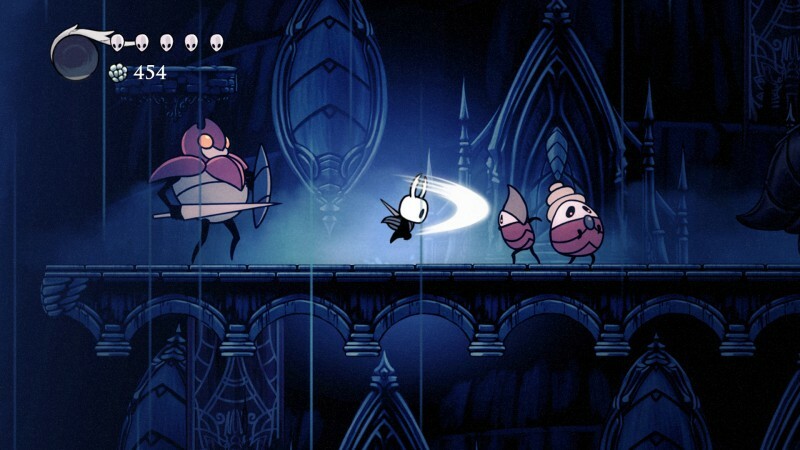 The elasticity makes Hollow Knight feel fresh within its classic skeleton, giving me the opportunity to not only decide the way I wanted to both fight and explore, but to change things up as new situations demanded. Experimenting only costs the time it takes to reconfigure your charms in the menu, and that process sometimes reveals unexpected paths to success. At times, I bashed my head against a boss fight only to discover far more passive solutions, like protecting myself against smaller enemies with an aura of damage, or hiding in a corner and unleashing newborn bugs to fight in my stead. Not every fight needs to be settled with a sword. 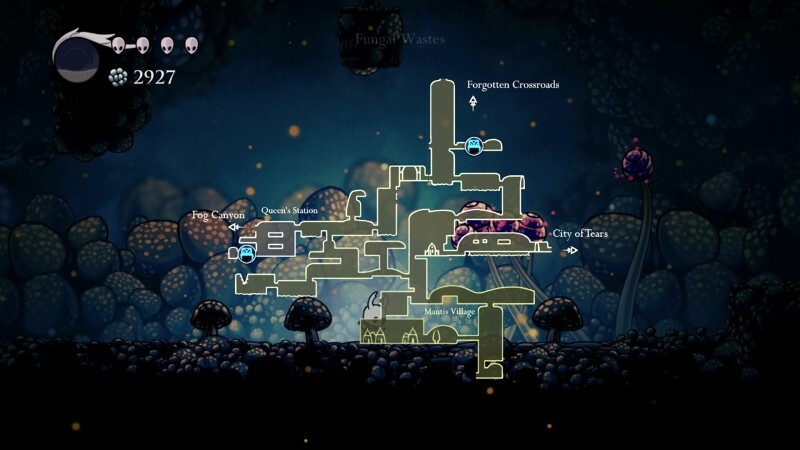 Hallownest features many distinct, interconnected areas . The labyrinthine tunnels require a good sense of internal mapping, especially during the first hour when orientation is essentially left to your own memory. Afterwards, you build maps of what you’ve seen whenever you rest at a save point. You also see your location on the map, but players who get easily lost are going to have a difficult time figuring out their heading. While this first hour could easily turn off some players, wandering around without a safety net instilled in me the importance of tracking my position. As the level designs get more complex, relying less on my memory meant giving up precious charm slots, making even navigation a consideration of your build. 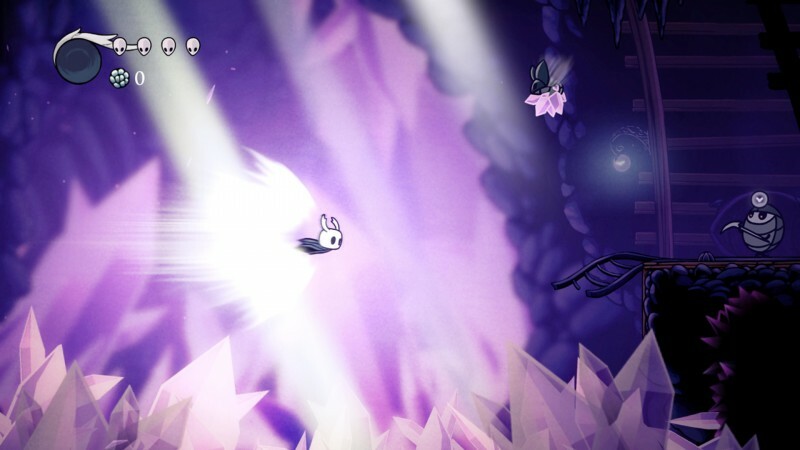 The intangible sense of discovery keeps you moving forward in Hollow Knight. As each new ability opened up the world and new exploration options, I couldn’t wait to see how I could move faster, better, and more skillfully. By the end, I was dashing and wall-jumping through areas with an exhilarating level of speed and ability rarely seen in this genre. It’s a sharp contrast to the willful opening, broadening the Knight’s traversal toolset as the map expands. A vast empire of sapient bug people exists just below the surface while a single, somber village at the top watches warrior after warrior go underground and never return. The story is told through small bits of lore, dialogue, and environmental cues, but it is rarely explicit. 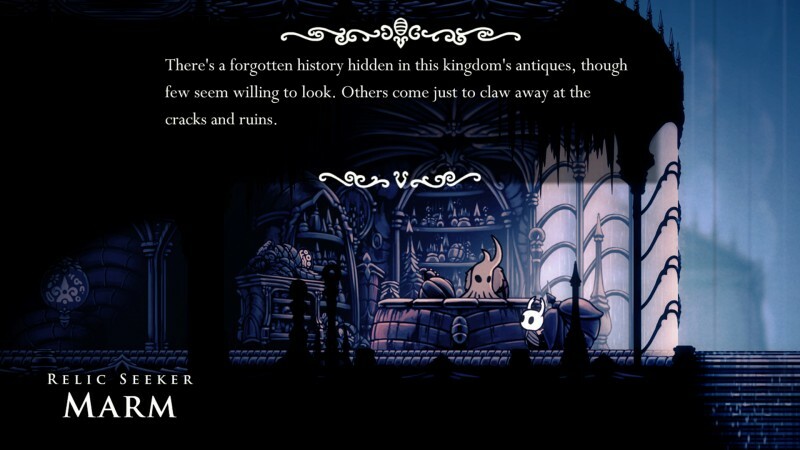 This story drip feed makes the scattered cutscenes and conversations hit harder and gives the cold hallways of Hallownest more personality in the end. The kingdom is home to characters with their own questlines, personalities, and missions. During your journey, you may save characters from certain death, then meet them in battle later. Sometimes the only reward for a questline is seeing how an NPC ends up, yet it doesn’t feel empty or pointless. Despite the absence of long, sustained conversations, I still felt attached to the remaining lucid bugs in Hallownest, and lived and died a little with their own successes and tragedies. Comparing games to Dark Souls is passé at this point, but it would be an injustice to Hollow Knight to not mention it. 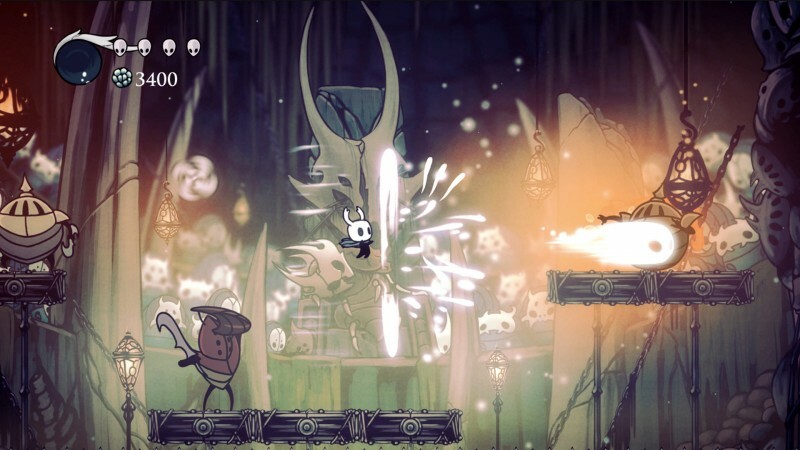 Hollow Knight does not simply wear its From Software inspiration on its sleeve; Team Cherry understands what made Dark Souls special in a way most other Souls-likes do not. The cold, desolate air of Hallownest is replete with both the absence of danger and the overabundance of it from unexpected corners. It recalls the way it feels to toe your way through one of Dark Souls’ yet-uncharted dark pits in a pitch-perfect tone. 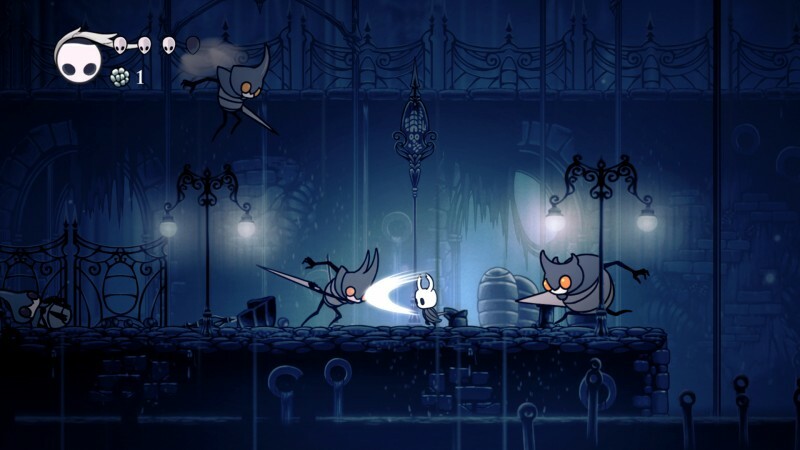 Hollow Knight is deliberate in ways few games are, from its tough-love first hours all the way to the end of its long, content-packed journey. Challenging end-game bosses put every single skill I had to the test and left me with a sense of mastery. Team Cherry has been iterating on the game since its PC release last year, and it oozes a sense of self-confidence. Every mechanic is polished to a mirror sheen, and the action grows organically around your playstyle, making it feel fresh. 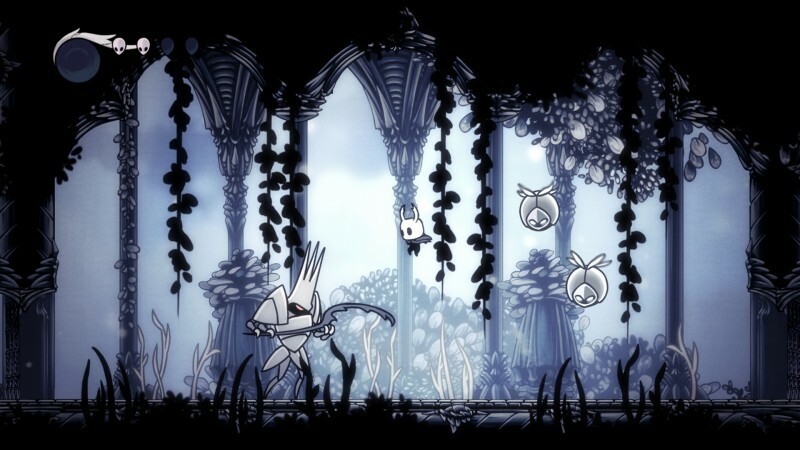 Hollow Knight doesn’t completely reinvent the genre, but the heart that beats beneath the surface is impossible to ignore. 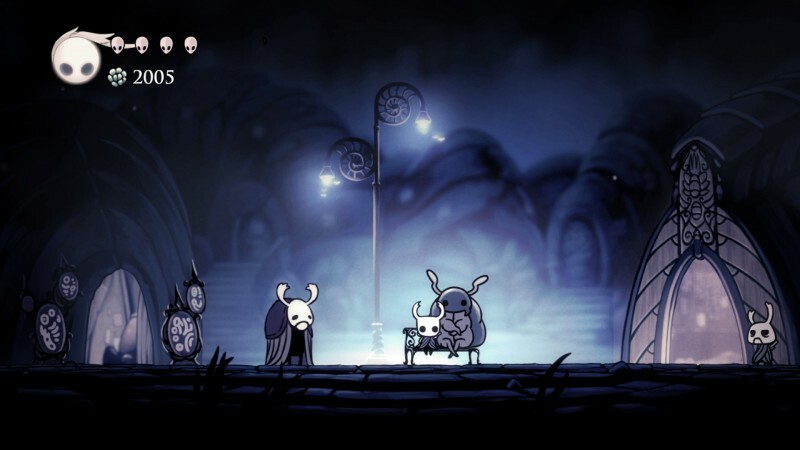 Hollow Knight's inspirations are clear, but it eventually proves itself to go down as one of those classics.